Our in-house Licensing & Credentialing teams get you to work sooner! VISTA Staffing Solutions has strong relationships with all 50 state medical boards, so we understand when and how they review applications, how long it usually takes and any potential roadblocks. We also know when they update or change requirements, e.g., requiring criminal background checks or fingerprinting. The most valued part of our service—according to both providers and medical boards—is VISTA's coordination of primary source credential verification, including licenses, privileges, education/training, certifications, professional liability insurance coverage and more. The average license application requires a minimum of 15 verifications in addition to verification of all hospital privileges. "If there is ever a problem, I can reach someone. They call me back, take my calls, and solve the issue as best they can, as fast as they can, and quite frankly, with honesty." We'll tailor your applications to the specific needs of the state/facility so you don't waste time digging up unnecessary documents. 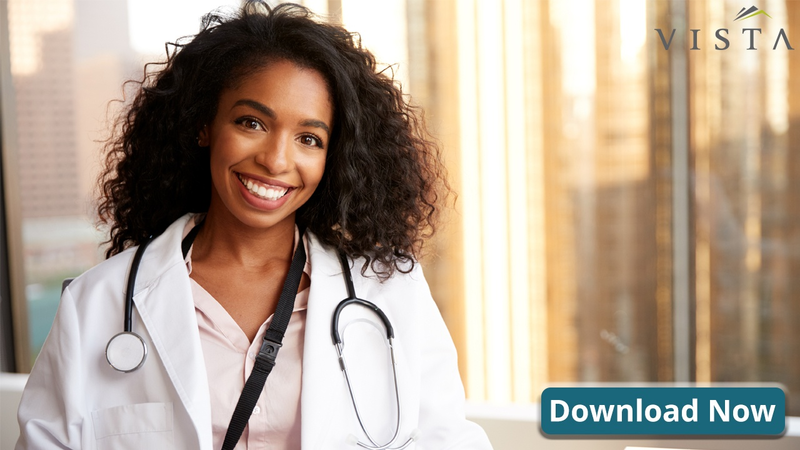 Medical providers must complete a credentialing application containing questions that gather essential information about your training and experience. Confidence in our medical providers at the point of presentation results in client assurance and an increased ability to confirm assignments quickly with higher rates of extensions and repeat contracts. "The application process, credentialing, and assignment phase was very easy. VISTA does a great job in communicating with me. I have had no complaints!"